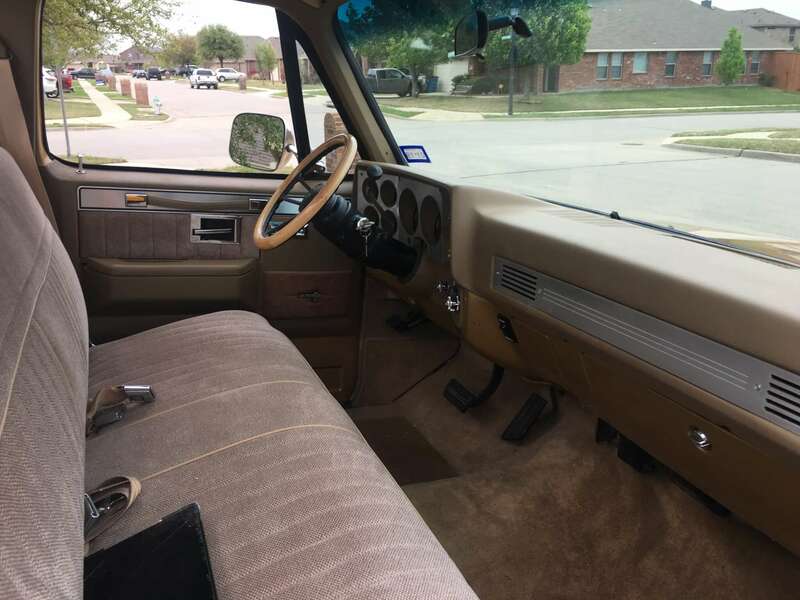 1984 Chevy C20 – Jim D.
I decided a few years ago that the price for new trucks was getting pretty unreasonable. I figured that I could get a car and then get an old truck to do the work I needed for a MUCH lower cost and better fuel mileage. 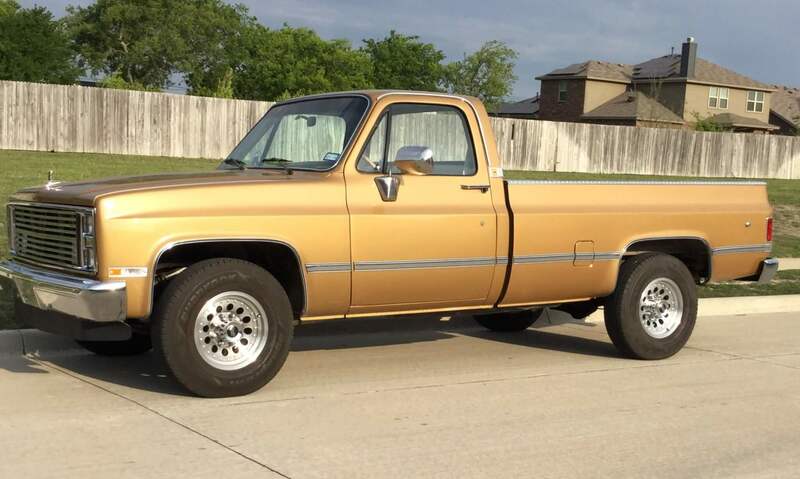 Since I’d always liked the squarebody Chevrolet trucks, I started searching for a truck with a solid body and one I could work on. I found this one in California. 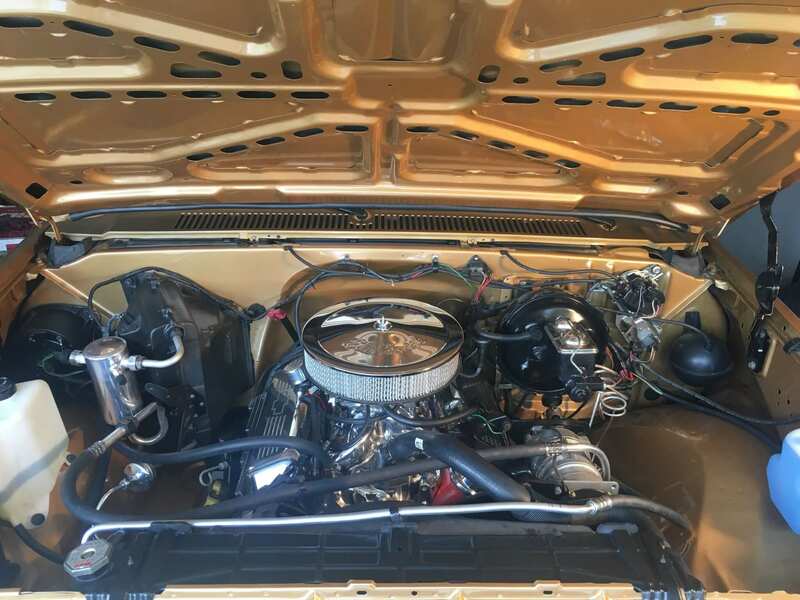 The body had absolutely no rust and was really straight. Although it was a ¾ ton, I figured it would serve my purpose- and I got it cheap ($2400)! When I actually got the truck delivered to me, it was tired. All the tires needed replacing, the paint was faded and chalking, and the HUGE trailer mirrors were falling apart and the mirror mounts had pulled out of the doors leaving holes. It started and ran pretty well. But, I still replaced the tires, battery, mirrors and changed the oil. Then I drove it to and from work for about 6 months. One nagging problem the truck had was that after driving for about 30 minutes it would quit running. It was summer in Texas. So, I figured it was vapor locking. I added an in-line electric fuel pump, electric cooling fan and insulated the fuel lines. That didn’t work. I replaced the distributor as well. Nothing worked. It was about that time I noticed an intermittent noise coming from the lower part of the engine. GREAT! The decision was made to go ahead and replace the engine. Work began. The funny thing about noises in engines is that noises can sound like one thing and end up being another. Further, when a fuel pump comes apart the engine usually dies, except when you have added an electric fuel pump. (Insert face palm here) Nevertheless, I was committed and went ahead with the replacement. But, being a car guy, I wasn’t satisfied with just replacing the engine. I thought, if I had the engine out and the front clip off the truck, I might as well clean up the cowl, clean everything up and replace anything that didn’t look good. Then I thought, I could have a rat rod truck if I went through the interior and did the same thing. I repaired and smoothed out the cowl a bit then sent the truck to have the cowl, inner fender wells, inner fenders, radiator support and underside of the hood painted. They turned out beautiful! So, at this point I’d already dumped a TON of time and cash into this project, so what’s another thousand, two thousand, and so on? So, I completed the truck inside and out. What started out as just a truck to get around in turned into a truck I was proud of. Just for grins I entered the truck in a local car show. It won “Best in Class.” I entered it into a different show. 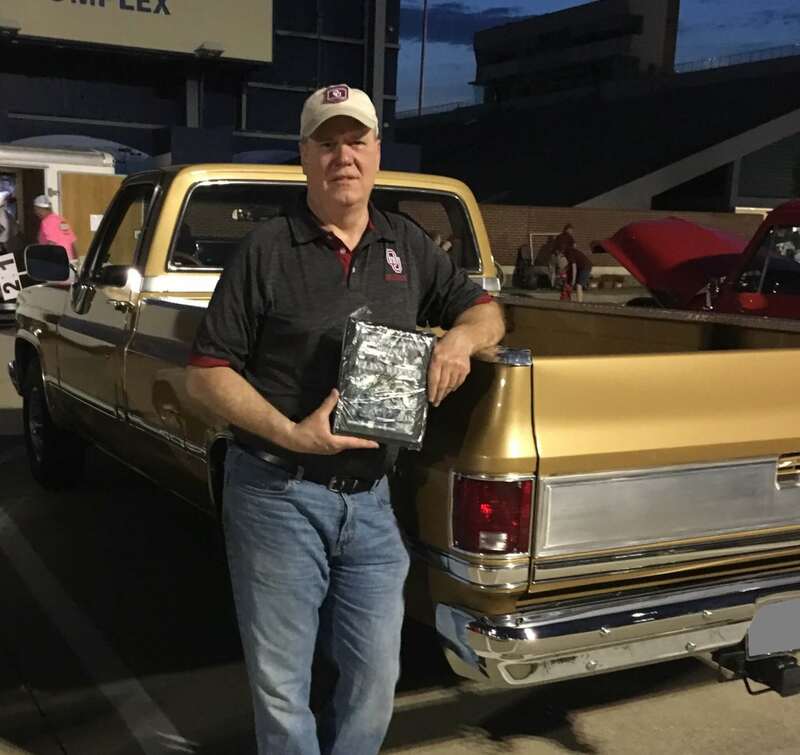 Again, it won “Best in Class.” I’ve now entered the truck in 3 shows and it has won its class in all three! Maybe the days of this truck being a workhorse and daily driver are over. Thank you LMC for helping me accomplish this goal!